This weekly theme is ‘shiny’ as in a distraction. Taking a selfie while being close to a colony of common seals can be distracting. With Rain comes Sunshine! – Dutch goes the Photo! Madeline Scribes What is my “oh shiny!” moment? sukies original Weekly Photography Challenge: Oooh Shiny! “Bright sun shiny day!” – Hannah’s Happenings! Women’s Footwear in America The Daily Post Weekly Photo Challenge |Shiny. Do What You Wish Bright and shiny. Picture Worthy Aug 20, 2017 – [Sunday] WordPress Weekly Photo Challenge: Ooh, Shiny! Pictures without film. Shiny waters – Weekly Photo Challenge: Ooh, Shiny! Musings of a Random Mind Weekly Photo Challenge: Ooh, Shiny! Weekly Photo Challenge: Ooh, Shiny! – These aren’t gray hairs, these are highlights! It’s a Wonderful World! The “stop in your tracks” architecture of Madrid. Erin’s Big World Weekly Photo Challenge: Ooh, Shiny! WY PICTURES WPC: Ooh, Shiny! The Syllabub Sea Ooh, Shiny! MyKnowledge.blog Weekly Photo Challenge: Ooh Shiny! Memory Catcher Weekly Photo Challenge: Ooh Shiny! You are entering my Mind WPC : Ooh, Shiny! The Nature of Things Weekly Photo Challenge – Ooh, Shiny! A Small Press Life Weekly Photo Challenge: Ooh, Shiny! WordsVisual Shiny? Diversions, distractions and detours…..
sonofabeach96 Weekly Photo Challenge: Ooh, Shiny! Second Wind Leisure Perspectives I Stare at Naked Ladies… and Other Flowers! The World Is a Book… Weekly Photo Challenge: Ooh, Shiny! Rois Weekly Photo Challenge: Ooh, Shiny! Shiny moment in Chiusdino – Dutch goes the Photo! A Momma’s View Ooh, Shiny!!! Musin’ With Susan Caught My Eye! Spirit of Dragonflies WPC – Ooh, Shiny! An Evolving Scientist Weekly Photo Challenge : Ooh, shiny! Click This, TAPG! Weekly Photo Challenge – Ooh, Shiny! Making the Days Count wondering and wandering – it’s shiny! Life is for Living Every Day When is a rainbow not a rainbow? Dr.Igors Photo Weekly Photo Challenge: Ooh, Shiny! THE PETALUMA SPECTATOR PHOTO BLOG Ooh, Shiny!–New Ocean Beach Rental? Na’ama Yehuda Rise and Shine! The Shady Tree WPC: Ooh, Shiny! The Reluctant Photographer Ooh, Shiny! Finnish Summer – ooh, Shiny! – minun oma pihani. Maverick Mist WPC: Ooh, Shiny! jim holroyd 365 Weekly Photo Challenge: Ooh, Shiny! umgeBUCHt Weekly Photo Challenge: Ooh, Shiny! Right Steps & Poui Trees Sunlight On Things: Weekly Photo Challenge – Ooh, Shiny! sonja benskin mesher .shiny shiny things. e-Shibin Photo Challenge: Ooh, Shiny! stenoodie Weekly Photo Challenge: Ooh, Shiny! Mama Cormier WPC – Ooh, Shiny! ….on pets and prisoners….. wpc: ooh, shiny! scillagrace Weekly Photo Challenge: Ooh, Shiny! JN Real Estate Valuation Services Photo Challenge: Ooh, Shiny! Ouch!! My back hurts!! OoooH… Shiny!! POTW: ooh, shiny! – Did You Know? Stephen Rees’s blog Photo Challenge: Ooh, Shiny! The Ambitious Drifter Everything Is Art, Isn’t It? Just in my case, it’s the opposite situation: my page hasn’t pinbacked, neither one nor the other, english post and spanish post. I will include them in my post tomorrow! My pleasure! Why did it not ping back on the daily page? Your photo is fantastic. There is so much contrast-it would make a great poster. It seemed there were two colonies there Chris – the people and the seals! A great photo, so much movement with waves and clouds, really lovely. Well, there is indeed a greay seals colony there too! 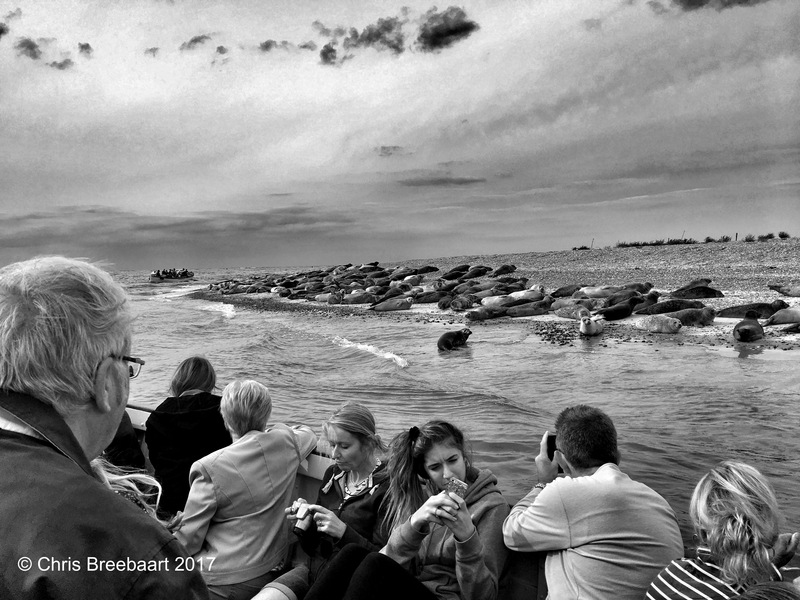 And yes, the people in the boats is a common sight to them seals. They looked a bit like ‘oh, there you are again’. I will post some more of it later. Thanks for your kind words!